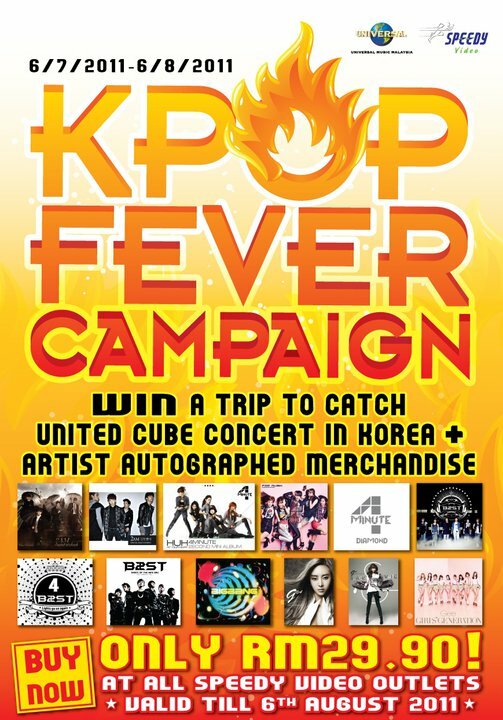 Want to win a trip to catch United Cube Concert at Korea ? Or artist autographed merchandise? Universal Music is having a Kpop Fever Campaign now. By purchasing albums mentioned below at Speedy outlets with a special price, you will stand a chance to win a trip to catch United Cube Concert at Korea or artist autographed merchandise. Don’t miss this golden chance! !